The current Air Miles offer of 40 Bonus Miles for Best Western stays wraps up on Saturday and they are not wasting anytime in pushing out the next bonus offer! 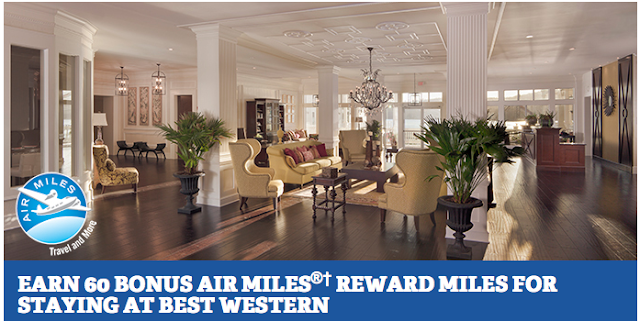 Air Miles members can earn even more Reward Miles with the promotion for Best Western stays until May of next year. WestJet to launch Ireland service! !